More qualifier dates for the Capcom Cup have been revealed. Get the dates and watch the official trailer inside. Capcom Fighters has posted the official trailer for the Capcom Cup. The promo reveals new qualifier dates for the Super Street Fighter IV: Arcade Edition 2012 extravaganza. Here are the dates and locations. Xian, Sako and Chris G have already qualified for the Capcom Cup. Xian's first place finish at Evo 2013 (see results by clicking here) earned him a spot in the Capcom Cup. Sako reigned supreme in the Treta Championship Aftermath in Brazil, securing his place in the 8-man finals. Finally, Chris G punched his ticket with a first place win at The Fall Classic 2013 (see results by clicking here). 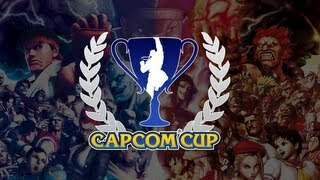 Here is the official Capcom Cup trailer.